Beachy fun! In this post I have a few previews of up & coming items that will be available at the August round of On9. Mark your calendars because On9 starts this Sunday, August 9th! Details below! poses & props by Kirin – Fun at the Beach. Photos taken at Brazil. In this post I am featuring a dress from NYU, jewelry from Aphorism, Secret Love and more! See below for full details! 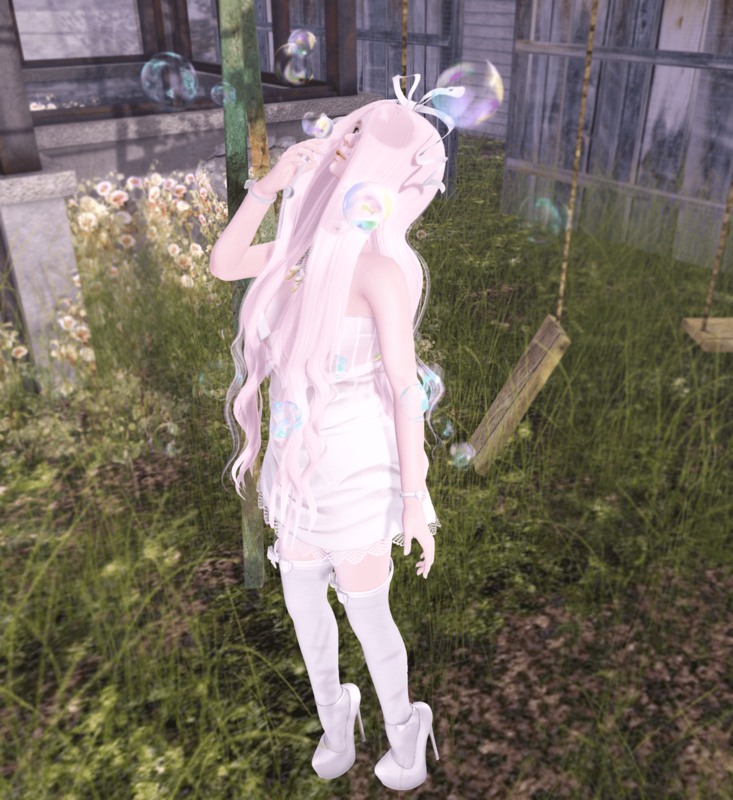 poses by Signature Pose – Sophie *new*. Photos taken at Apple Fall – Fields. I’m a freak for polka dots and black & white! In this outfit I am wearing a polka dot dress from RAMA and a headband from Elysium. The purse & poses are out now at Kustom9. The shoes from Reverie will be out soon at June round of Shiny Shabby. poses by Imeka – Aurora *new* at Kustom9. Photos taken at The Looking Glass. This Saturday marks the ONE YEAR anniversary of Your Mom’s Venue! We will be hosting a PROM on Saturday, so be sure and stop by! The theme is ‘prom across the decades’. Each DJ will play songs from their decade, starting with meeeee at 5pm SLT. I’ll be playing an hour of music from the 80’s! poses by Signature Pose – Karin. Photos taken at Bellefleurs. Summer time! Kitties! Yellow! Birds! Flowers!! poses by eternal dream – liz *new* at cosmopolitan bi weekly event. photos taken at Crystal Gardens Estates.